One thing that binds us Indians together with a few exceptions is our love for movies and cricket! No wonder these have become the biggest money spinners and industry in their own right! I would like to travel down the memory lane as I saw the transformation of these two over the years in the Indian context. As a kid I do not remember when exactly, I fell in love with watching movies, but I was told that as a toddler my first movie was ‘Funtoosh’ in the Regal theatre in Delhi. I created a racket, broke my bottle of milk and howled away to glory, when my parents decided not to watch movies till I became a little more civil! The time rolled on. We used to have movies screened in the park adjacent to my house in the government colony where I spent my childhood. The whole colony would congregate in a festive spirit when a screen would be set up of white sheet and the projectors would beam the black and white tearjerkers. The aunties sobbed and the little girls cried! There would be action scenes involving the villain Pran, who took on the hero and puffed cigarettes endlessly! We liked to copy the action scenes which were not as gory as they are now. Once in a while a ramshackle theatre would come up in the bigger parks and there would be a film festival lasting ten days with a new movie each day! The screenings would be in the evening and the place would turn into a big party where the hawkers would sell ‘chana jor garam’( roasted chick peas, groundnuts etc), ‘kulfi’ ( local ice creams) etc. I would accompany my younger brothers and we would watch the evergreen Devanand in movies like ‘Kala Bazaar’, ‘Hum Dono’ etc. We were transported into a different world altogether! Sometimes there would be an interruption in the screening of the movie to make announcement for some children whose parents were waiting outside for them to return home! The TV screened movies only on Saturday and Sunday and we went to the community centre in the vicinity to watch them with great enthusiasm. An event like coverage of Republic Day parade drew massive crowds and one had to jostle for a decent place to view. Come September, and cricket season would start! There would be commentaries running on the radio and people hooked to the transistors like magnetic reminders to the refrigerators today! While the commentary blared, we played unconcerned, breaking glasses of the neighbor’s houses that would scream or run after us to spoil the sport! We did not give a damn to whether India won or lost against West Indies or Australia but were happy when Nawab of Pataudi scored a ton! Once in a while we would be treated to movies like ‘The Sound of Music’, ‘Mary Poppins’ and ‘My Fair Lady’ by our indulgent parents to ensure that we became equally well versed with the western world. As time wore on, I finished my school to land in college! There were times when students resorted to ‘mass cut’ classes only to land up in the theatres showing the blockbusters! We would invariably buy the tickets costing least, to ensure that we have money still left in our pocket to buy a burger from the Nirula’s. I remember having stood in the queue for over three hours to buy the tickets of ‘The Godfather’ and ’Siddharth’ when they were screened during the International Film Festival. The game of cricket kept growing in popularity and ‘one day matches’ took over from the conventional ‘five day test match’! There was more money and ever more crowds so most of the time the commentary or watching the game on TV was the easier and more economical option. The technological strides soon changed everything forever. The aged single screen movie halls were knocked down and multi screen theatres conjoined with malls emerged. The new theatres have Dolby Stereo and latest state of the art movie projection including the 3D effects! Instead of the lilting music of 60s and 70s we have loud music often plagiarized and skimpier outfits! There have been some excellent movies in the current times too! Also, the pirated versions of the movies appear on the CDs almost simultaneously when the movie releases in the theatre. Here too things have changed rapidly from a VCD to the DVD format bringing more clarity and quality. The good old VCRs are laid to rest forever! The thirst for more and better is still on! We have the Blu Ray players and flat screen TVs with accompanying music systems to create a home theatre! How the times changed from watching movies in the make shift theatres near home to having a home theatre where one can watch movies, concerts or game of cricket to own convenience!! Totally agree Francesca! Over abuse of anything is detrimental! A long and eventful journey indeed. Full of nostalgic moments!! We are losing some of the character and traditional fervour of old things and institutions thanks to technological advances but as Franesca fears, overabuse of the same is not too good, as we are seeing in the age of FB and Twitter when everything is public and face to face are vanishing. So true Zephyr,we have become now attuned to more of virtual life than the real life! Hope we will learn to strike a balance to remain rooted to reality! nowadays with everything so advance soon i guess we will sit at home all day doing things ..
cricket is losing the charm too i remember weekend went in playing cricket all day long .. Same here Lady Fi! I do not see Cricket matches anymore..
A wonderful post depicting our love for Movies and Cricket. Our country is really mad about these two things, you have captured the essence very well indeed right from the good old days to the present day. Sound of Music is one one I will never forget :) It was just beautiful.. Yes Juhi, those movies are etched in the mind and am willing to see them again any time..:)Thanks for liking! It sounds like such an interesting time at the movies, a world away from now. I've noticed the constant relationship between Cricket and Movies, because some times when India plays South Africa, they get in all the Bollywood stars to do a pre-game concert. You have written about the changes in movie going very nicely. Even now, I would like to go to theatres with a gang to watch a movie! Then eat outside and discuss about the movie then and there! While sitting at home and watching, we cannot watch with full concentration, I feel. We can watch movies like DDLJ, Kuch kuch hota hai type movies at home, not movies with serious storylines! I too have watched roadside screened movies. They were not very clear but was fun watching with so many people sitting in the open maidaan! The first movie I watched/remember watching is 'Dhool ka phool'. I still remember crying while watching the movie! I don't cry now! Movies n cricket sure are one of most binding factors in India...i still like watching movies although my interest in cricket has waned over the years. Ditto Ria! I do not follow cricket any more as it has become more a business than game.. So sweet Saru, that you watch old movies on weekends with your husband! The story line and music are still incomparable.No wonder the new release are Don 2, Don 3.. Agneepath 2 and so on as they have run out of ideas! what a wonderful recounting of this historical journey- and although technology is at our fingertips- I fear I miss the wonderful community spirit it offered in the past. I really smiled when I read how you paid for the least expensive ticket so that you had enough money for a burger at Nirulas- the reference to Nirulas made me smile so much because I had a many delicious meal there...:)...especially their ice cream!! 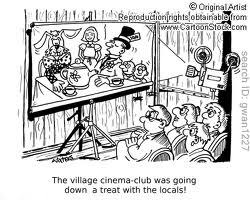 Reminds me - would love to see a good movie again soon - the best way to watch a film is in the cinema me thinks! Beautiful well-written post, Rahul. I'm not a cricket fan but I do love films ( Malayalam ones, especially!) Speaking of films and advancements in technology, I'm super grateful that today, sitting here in England I can watch Malayalam films on Youtube. Thank you, Ash for those kind remarks!I too do not follow cricket any more! I had loved to play the game..So true, the advancement of technology has brought options of home movies, food recipes and other cultural things which we otherwise miss out , away from home! I miss the charm of those bygone days where going to the movie theaters was a special treat. I still feel sad when I drive by the area in my town that housed my favorite movie theater. It is now torn down but in it's 'heyday' it was the best! Only two screens but they were huge in width like a panoramic picture scene. Grand auditoriums of red velvet seats! *sigh* I don't really like the multi-mall theaters of today. Technology has changed a lot! This post reminds of my dad .. he always has a habit of talking about his days only difference is his stories are more of Andhra and Chennai based stories. He always recollects how there was this multi screen theater in Chennai I can even tell their names Emerald, Ruby and sapphire.. How his friends used to spend all their weekends .. And my Dad is great cricket lover.. He often tells how a Tv used to serve as a whole family entertainment , now How every one has one Tv in their own room... In my childhood we were not allowed to watch movies, not even on Tv... So i remember we kids used to sneak in neighbors house every Wednesday to watch chitrahar. I am not a great lover of cricket.. But I do cheer India when there is a important match.. Very well written post..
that was a nice post! someone has very rightly remarked:India has only two religions, movies and cricket! True AS! Thanks a lot for liking this post.. So true and I agree with AS cricket and movies are the sole of India. we are so passionate about the whole thing. your newest follower here. Welcome to my blog , Kajal and thanks a lot for following it too:) Your blog is nice and interesting..
That took me down the memory lane too!! It's a great feeling to witness the changing scenarios over a period of time!! Yeah, we have come a long way from the B/W movies on a white sheet with projector to the Blu Ray Players!! Thanks Shilpa! Am happy you too found the changes affecting us! We Indians are obsessed with movies and cricket. I don't mind watching a good movie, but I am not addicted to cricket. Rachna, just another observation which you agree with:) I mentioned Cricket as I enjoyed to play and do not follow it any more with all controversies hanging around each match, it makes it as disgusting as politics sometimes! Ay, well said, the times have changed but they have also taken out the wings of the olden cinema and the stings of the Test Matches of yore. Recently one of our NRI relative flatly refused to watch movie in mall .Whistles and claps ,remarks by audience ,chanachoor (not soda and popcorn) he wanted to experience it all which he finally did in one of the oldest cinema hall of our city .The cricket today lacks soul.Ahh ,the good old days . Thanks for this post was a great read. So true! You said it! I agree! It is almost superficial! ..its been yrs I have been to theatre ..Michigan where I live has very few theatres running hindi movies jus maybe one or two ..n they are all empty ....even Indians don’t visit! which was unique,,, love the crowd n that kind of spirit! Yes those were the days. We can never think of getting those kind of simple fun anymore. Times have changed and it will be changing more and more. However we can still relive those days in our mind, and also write about it like you have done. Ok Purvi, at least you can relate to the times of VCR if not the B/W era:) Thanks for your comment..
Interestingly when you are away from your land, the two things that keep you connected to India more than anything else are Movies & Cricket. Very nice post. Nostalgic :). My first visit to your blog, needless to say its intriguing enough to bring me back. I completely agree.I would also add the love for Food.Nice to read about your experiences when you were young.I'm sure technology has advanced a lot, but the fun which one had during those days with simple means, is out of the world! I love cricket too but not so much in to Bollywood. Most Fridays are special as we go to catch movies on the eve of their release.Watching movies,dissecting it and discussing it later is an experience in itself.Nice post. Thanks a lot Natasha for your beautiful comment! It feels so good when someone can relate to the post and also evoke fond memories! Rahulji you reminded me of my childhood also. College mein we used to go for movies and matches. Now it's all so different. That's why I desperately wanted to be in India during the World Cup final. Yahan US mein kuch maza nahi aaya. Thanks Gayatri to see that this post struck the right chord:)I have been to US a couple of times and I can understand what you mean, for being a diehard lover of vibrance that goes with cricket and movies in India!